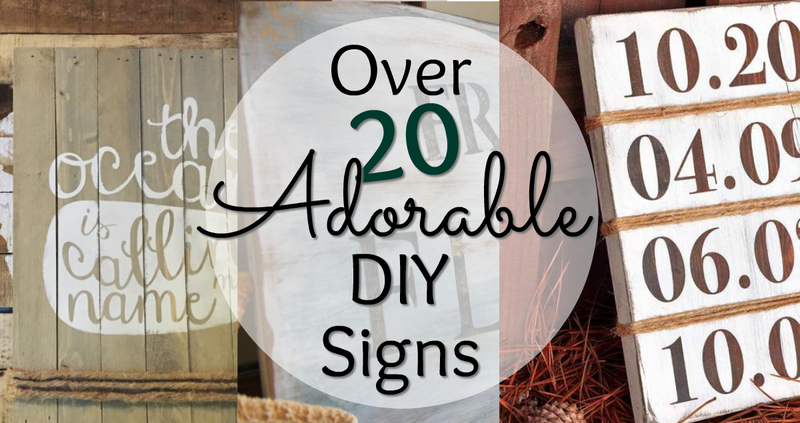 DIY signs for the home may be the easiest way to begin putting your mark on the decor and making it your own! 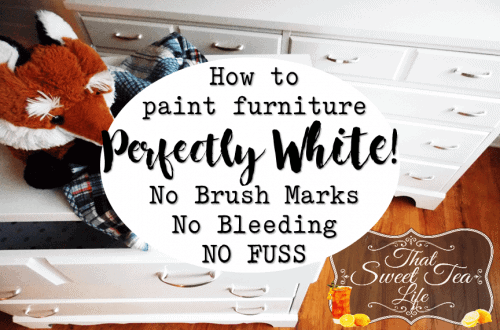 What’s better is creating painted wood signs gives you the opportunity to work on your paint techniques before using them on large pieces of painted furniture. 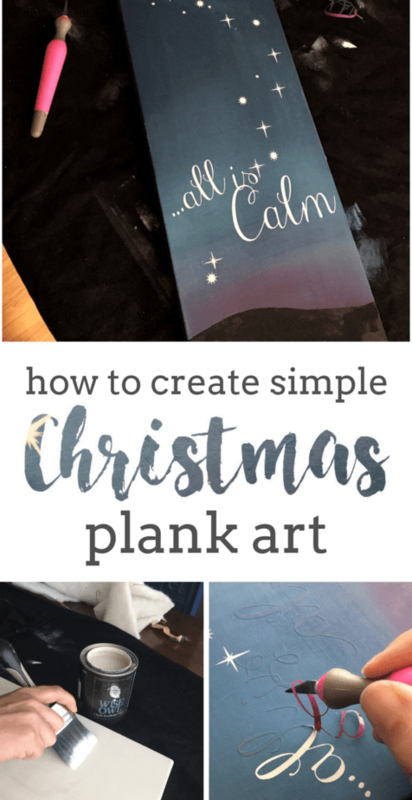 Whether you go purchase planks or just use spare wood you have laying around, DIY Signs are usually pretty easy and quick to whip up! 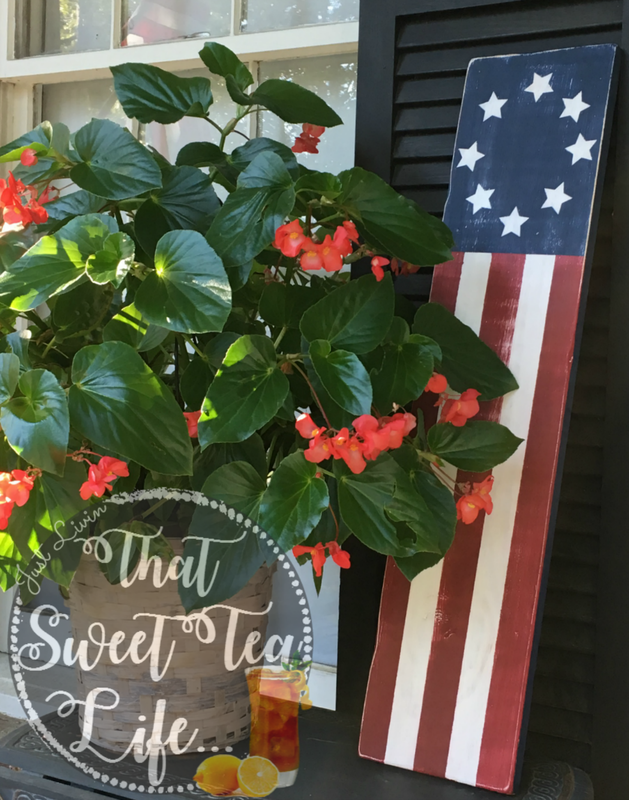 Want more That Sweet Tea Life in your Inbox?? You may remember me creating this wooden sign during the summer. 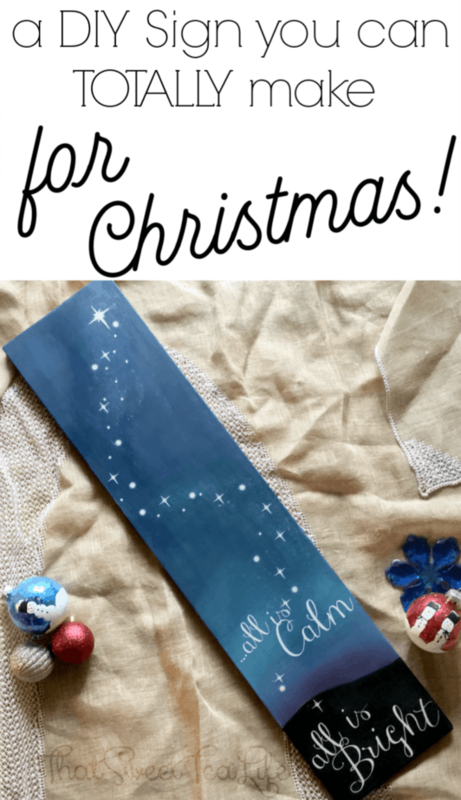 What do you need to create this DIY Christmas Sign? Here is everything I used and links to where you can find it! 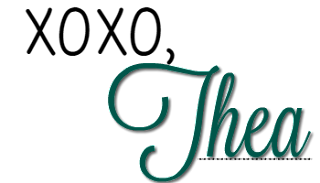 Some of the links here are affiliate links, which means if you make a purchase through them I will earn a small commission. Now to get started! 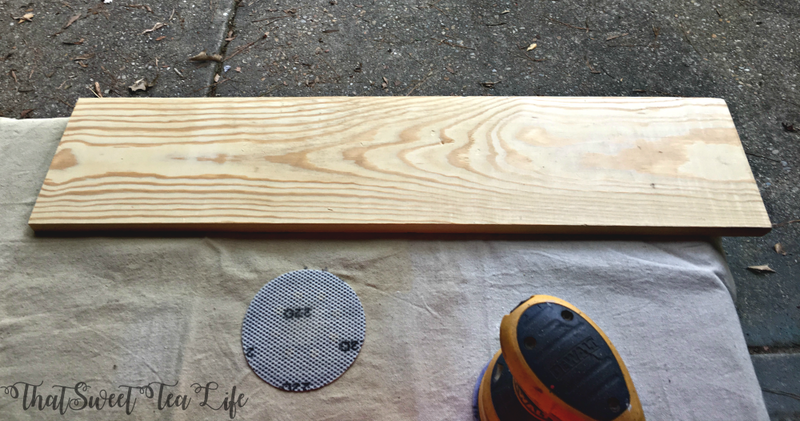 First I would prep by wiping it down with a vinegar water mix I keep on hand,.. then sanding. While sanding I was sure to beat down those corners and sand deep on some of the edges for added interest. It cant look too new! Two coats of Shellac would seal it up nicely. That’s my go to! While it dried up I went and designed my stencil. 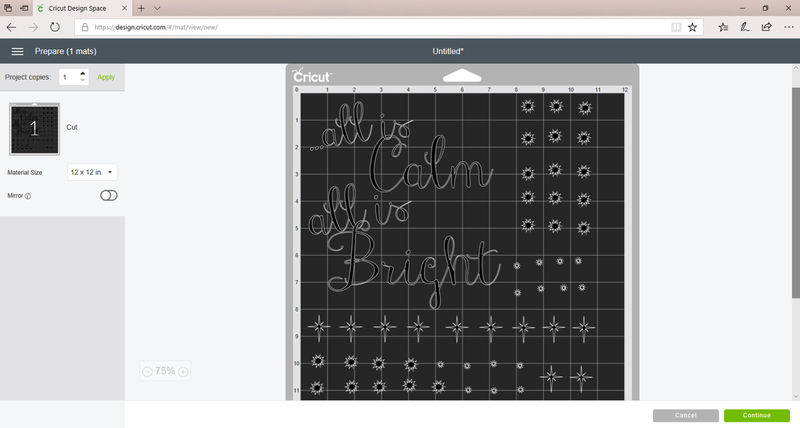 My Cricut Explore Air 2 would come in handy for this project! 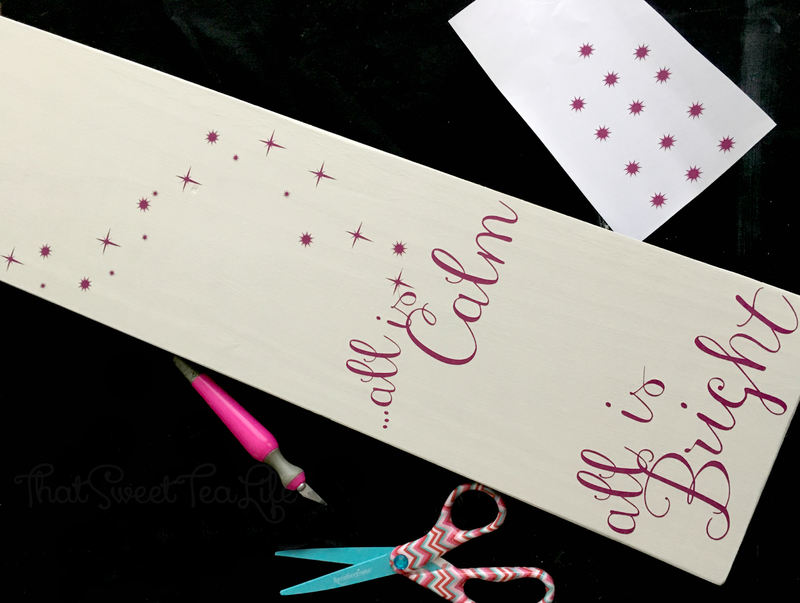 I love being able to create my very own stencils in whatever size and arrangement I need! 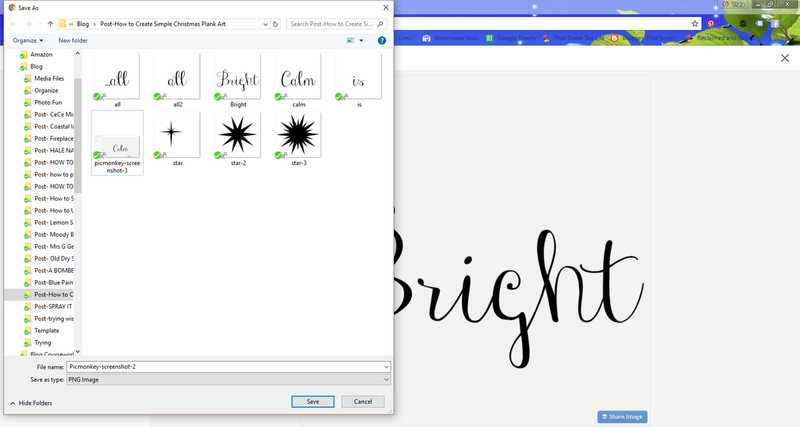 One of the things I appreciate about my Cricut is being able to create my graphics in a program I am comfortable with and being able to import them to the Cricut design space! Im going to show you step by step JUST how easy it is! 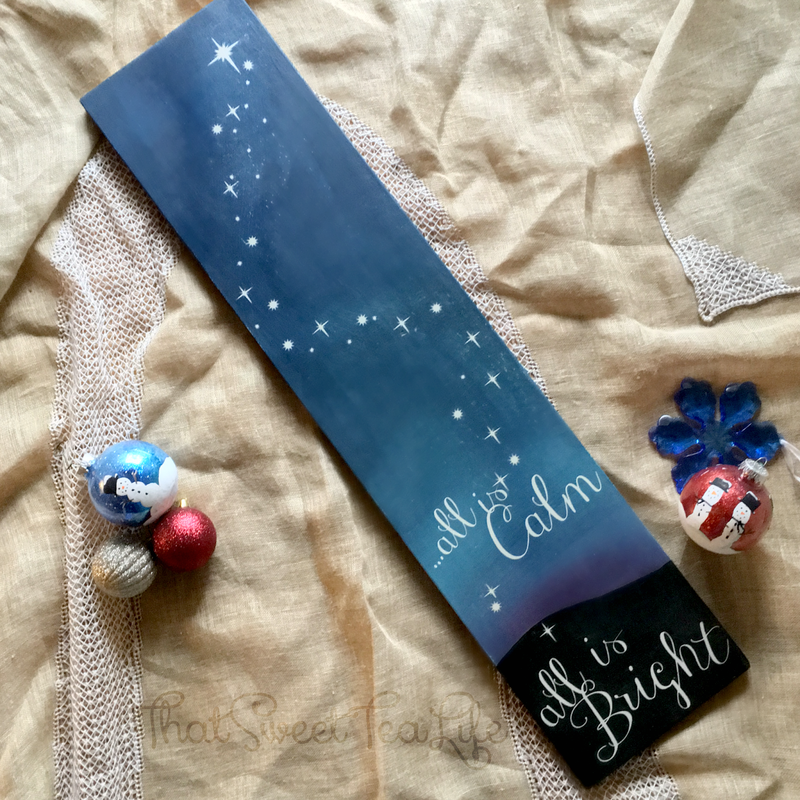 Knowing I wanted a variety of Stars I had already perused the Cricut Design Space for them, and not quite found what I wanted so, it was time to create my own on PicMonkey. This is my go to program for graphics and such. Its very affordable and they are always updating the available resources! The first thing is being sure to open up a blank canvas by choosing “design” and setting the Canvas Color to “Transparent”. 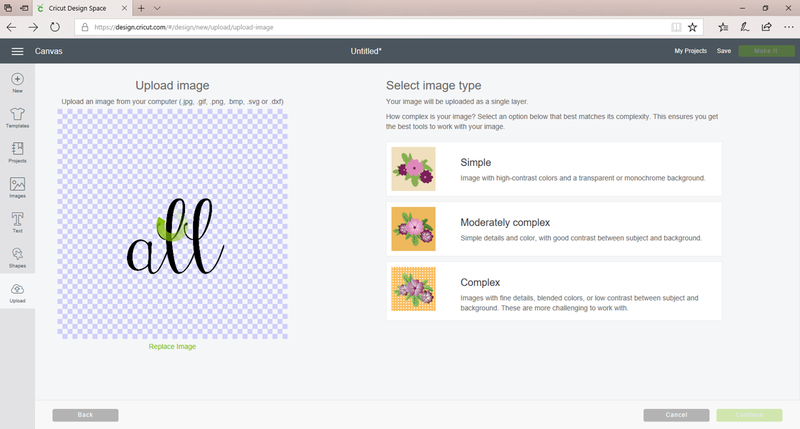 This allows you to create “Clip Art” type file or a file that has no background. 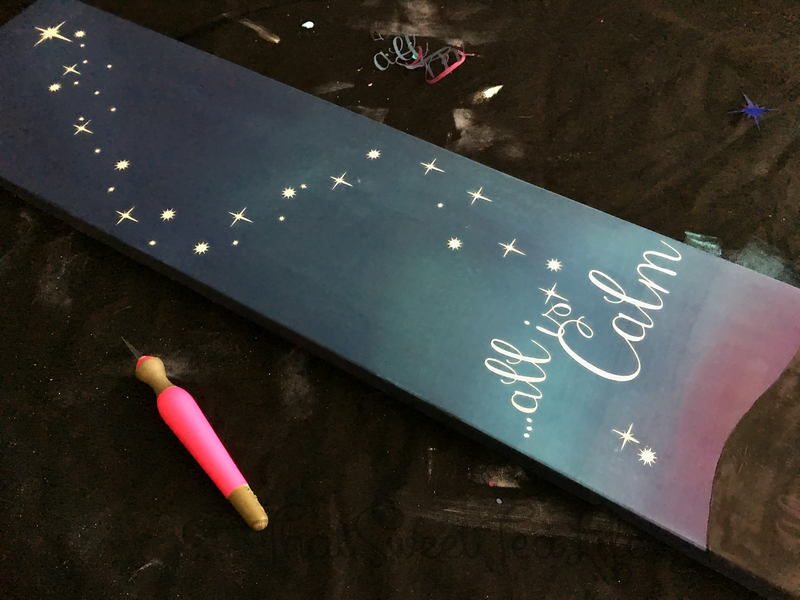 Then going to the “Overlays” area, I would take bits and pieces of stars and create the ones I had in my brain,..
With the graphics created I went over to Cricut Design Space to begin creating the stencil. Once in Design Space I choose to Upload each of the images I created in PicMonkey. The checkerboard background indicates it is transparent-just what I wanted. 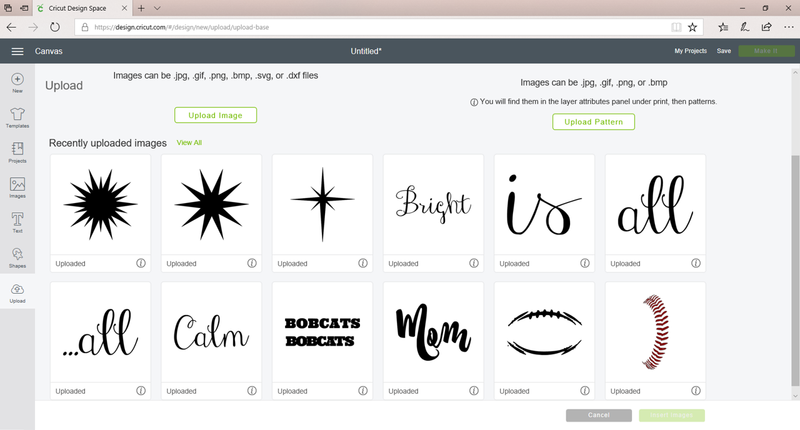 To the right you can select how much Cricut needs to work to pull the image apart into separate pieces. I select Moderate typically, thought Im sure I normally dont need to. 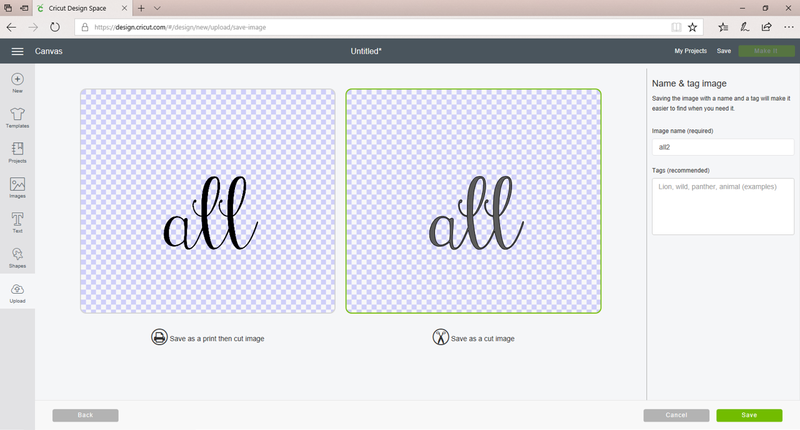 For each image it will ask if I want it to be a “Print” file or a “Cut” file, and for this I will select “Cut”. Now to design the cuts. Before deigning, I would need to measure the board to be sure how much space I have. If you’ve never checked, they are never the exact same size as their “name”. 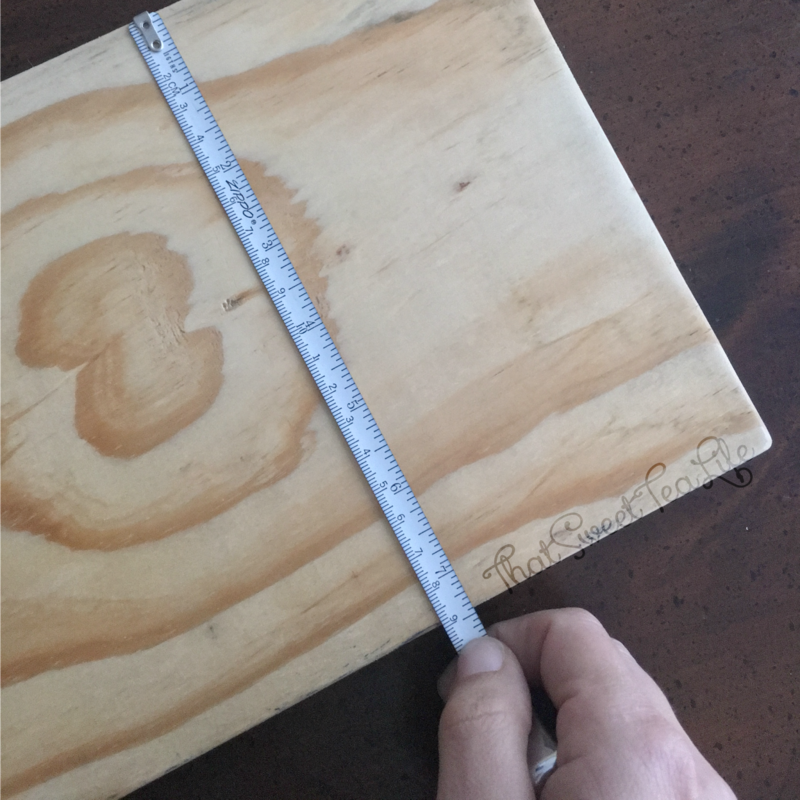 This 1×8 is actually 7.5″ wide. 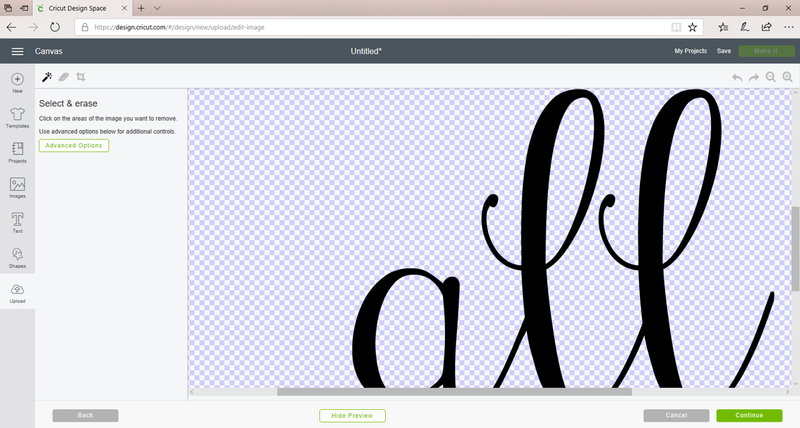 This tells me I don’t want any of the images to exceed this size. I would actually keep it under 7.25″. With all the images uploaded, I would insert them all onto the virtual mat. They may import to be HUGE. Just click on the mat, and press ctrl+A, then move the corner of the box you see toward the inside to scale all the images down at the same time. 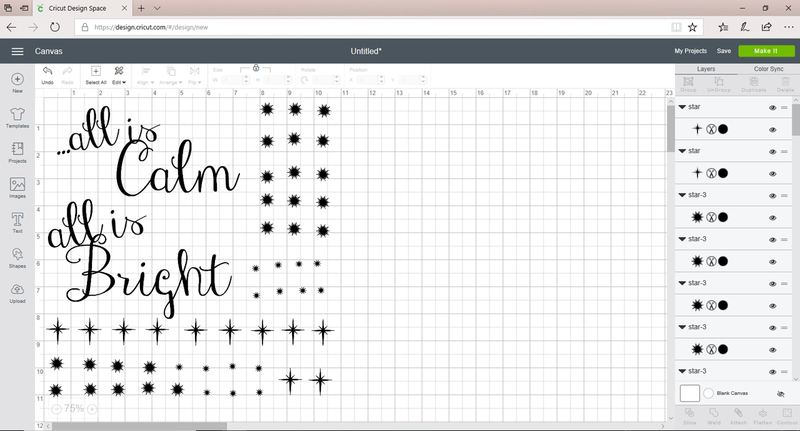 Keeping in mind the width, I would continue to work the words in the layout I wanted, then scale the stars. Being mindful of how much space I wanted between everything on the mat to make weeding the excess material easier, I placed everything where I wanted, “Welding” anything I wanted to be attached to one another, then, again, selected CTRL+A, and “Attach”. 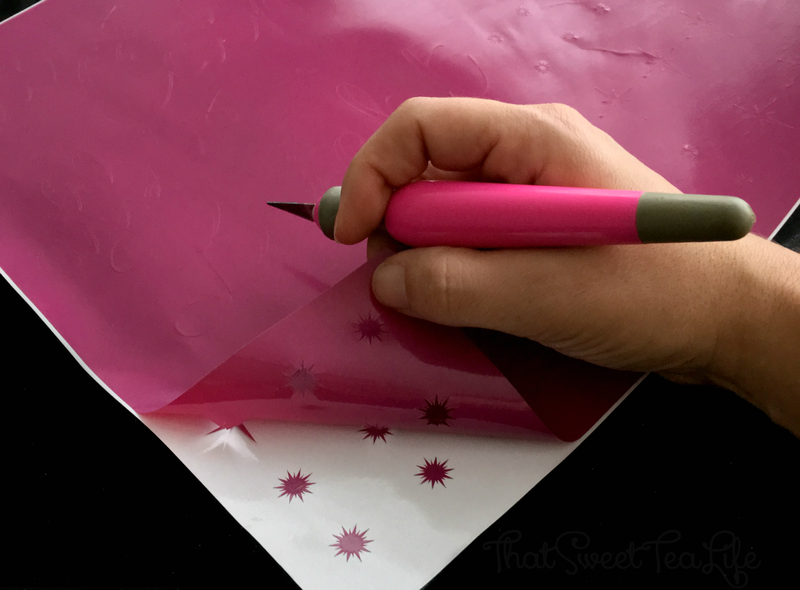 Doing this would keep the layout exactly as I had placed it, otherwise, your Cricut will do an AMAZING job at placing everything super close together, however it can to save you as much Vinyl as possible. 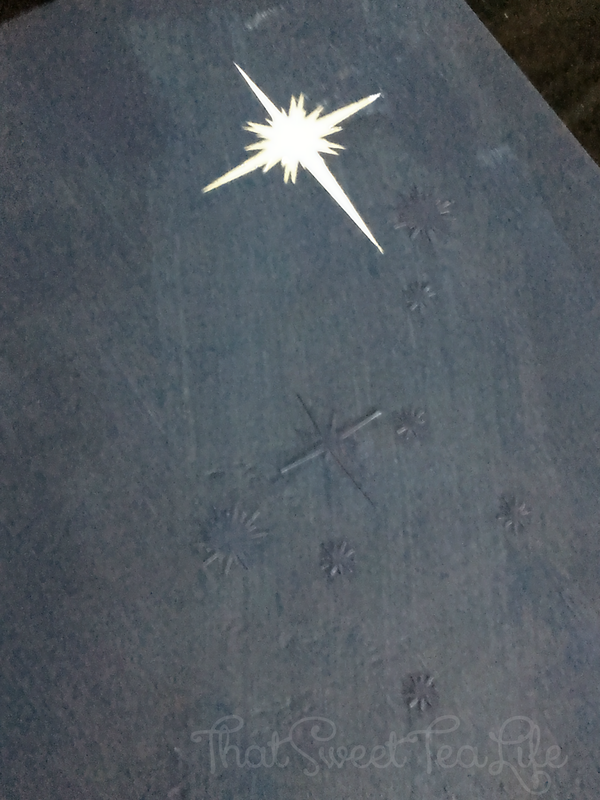 After placing some “temporary” vinyl on a 12×12 mat, I loaded the mat into the machine, and pressed Make It. 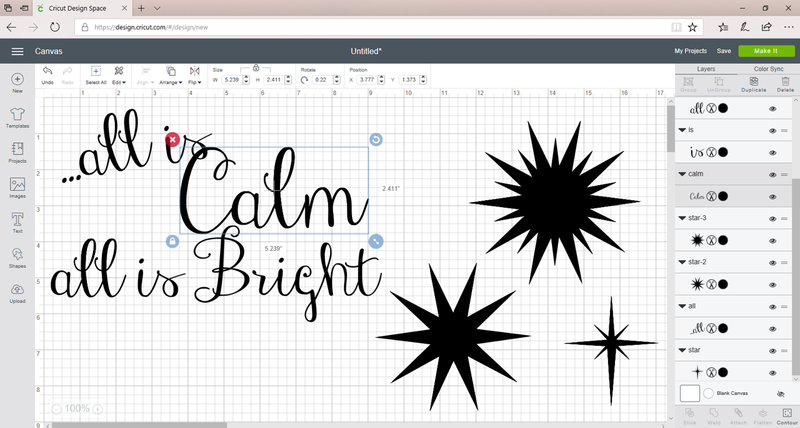 I LOVE how the Cricut walks you through and reminds you of each step so as not to waste anything. I selected “vinyl” on the dial, I skipped over “mirror” in design space since that wasn’t needed, and I was ready to cut! While it was cutting, I decided to lay my base coat. 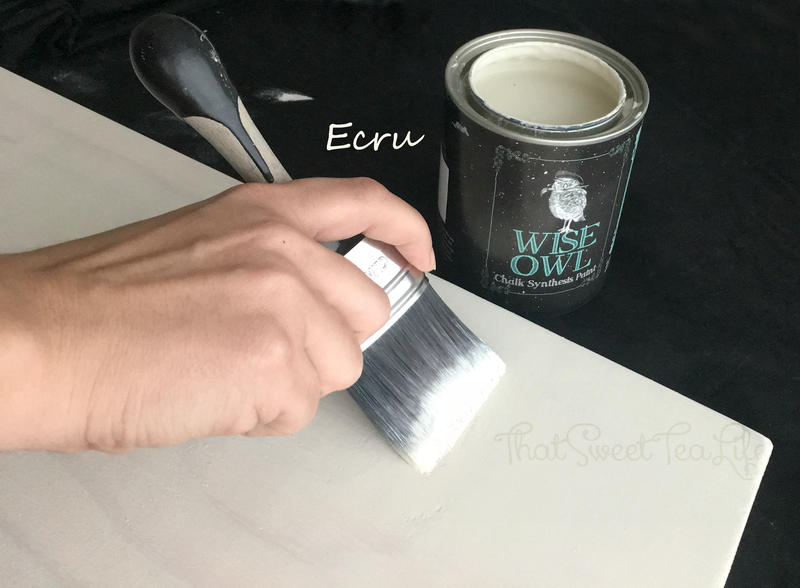 I would decide on Wise Owls Ecru applied with my favorite of the Cling On Brushes, the S50. Ecru is a lovely beige I chose since I didn’t want a harsh bright white. 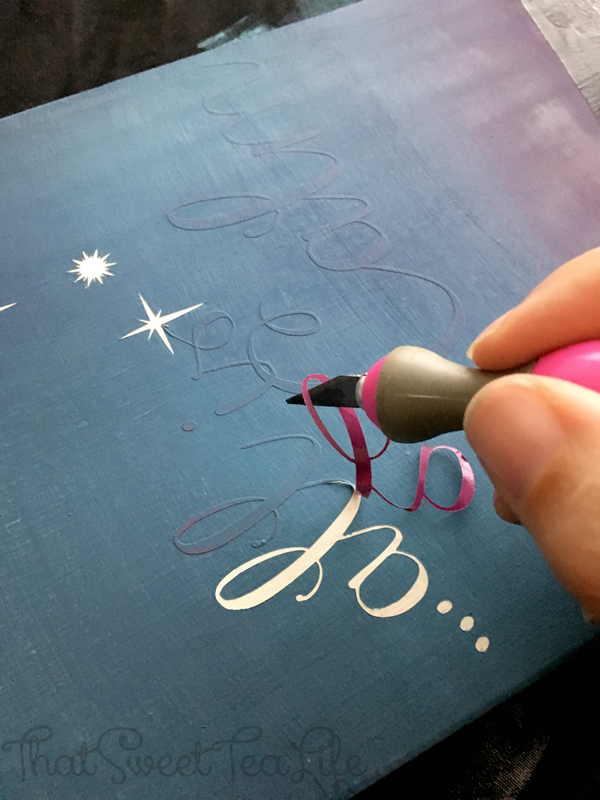 Wise Owl is easy to blend and dries SUPER fast so I love using it on signs! 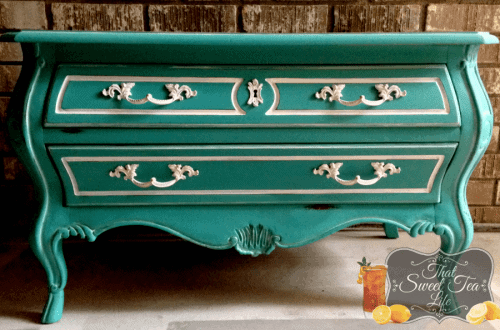 Its also free of harsh chemicals or solvents so I can feel good about using it indoors and I can even distress it with no worries of what may become airborne unlike traditional chalk paint. Wise Owl is committed to not compromising our health or the environments. This means the paint is zero VOC. …and on to the weeding as it dried. 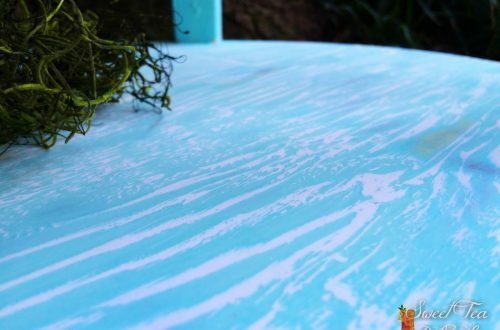 If you don’t know what the “Paint-Vinyl-Paint” method or the “Paint-Vinyl-Paint-Peel” method is, well here you go. While the base coat continues to dry, I proceed to weed the excess vinyl away from the stickers I have created. By the time I’m done the base coat is dry and I can place the stickers where I want the image to show. 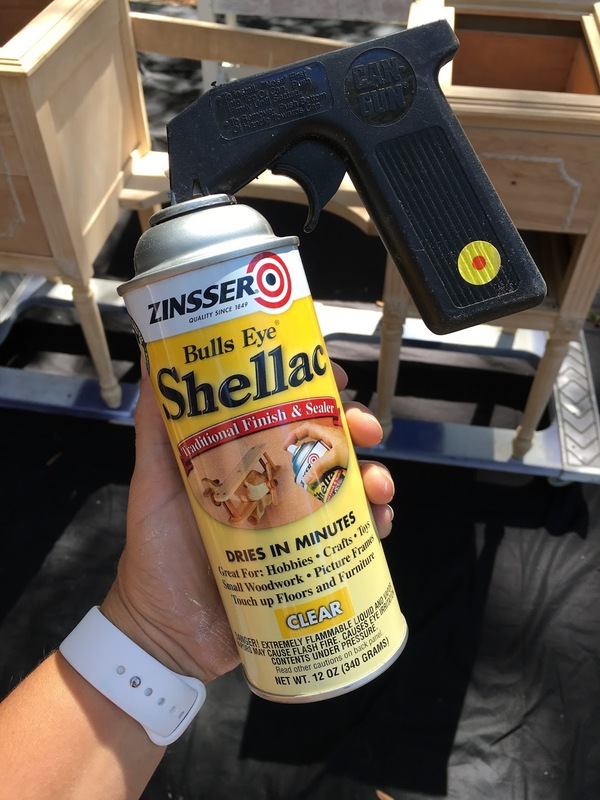 Next, I use my shellac and spray the stickered areas. While it dries I clean up! (Use those pauses! Its a great time to clean or do other prep work, and that helps us to not rush the project) Now for my favorite part. The PAINT! And this is where you lose me,.. 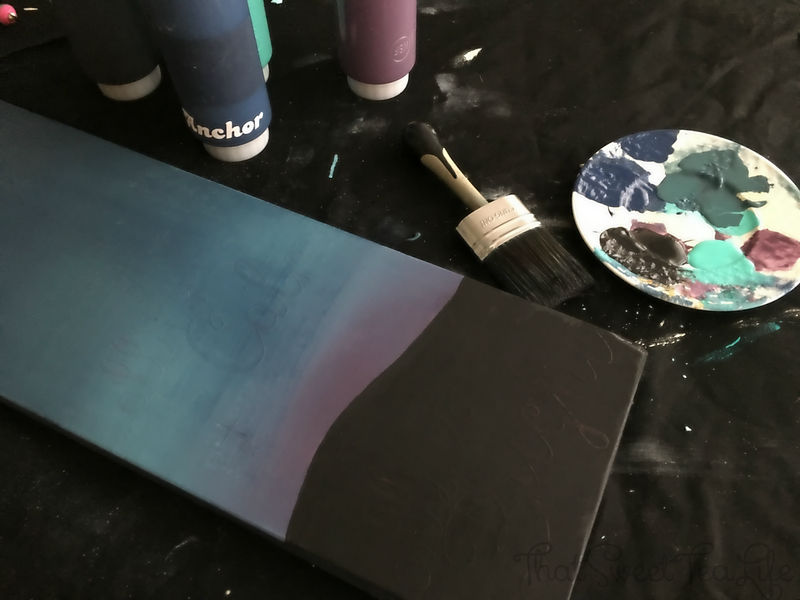 I continue to paint and blend and spray until I get what I want. Black Cherry, one of Wise Owls Seasonal Colors would blend into Mermaid Kiss, which would blend into Abyss, which would blend into Anchor,. a little water would be misted to make blending come together,.. 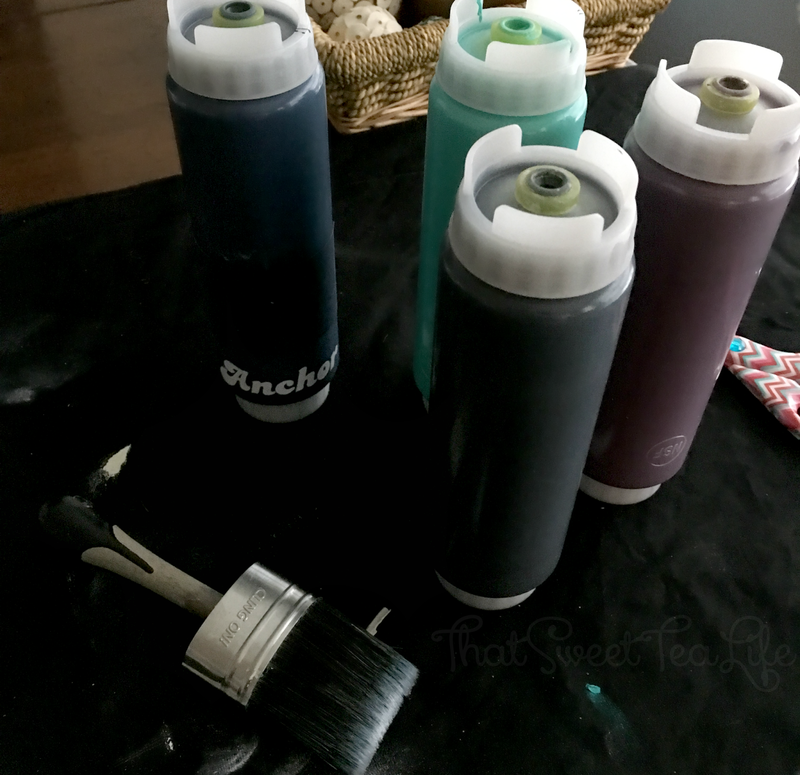 I am always smitten with Wise Owl paints ease of application! …PERFECT for signs. Once again, I allow it to dry while I clean up! By the time I am done cleaning up, its all ready for me to remove the stickers. I just love how crisp the edges are! The Ecru is popping perfectly,.. gentle. Not too much..
After some sanding smooth, and applying some Lemon Verbena to seal, its all ready for decorating! Pretty right? I love how the Black Cherry ended up blending with Mermaid Kiss to create that Sunset,.. and above that I love the simple reminder of the reason for this Christmas Season. Now to check out the other great ideas from fellow bloggers! Cant read them all? Pin for later! I hope you visit and enjoy EACH one! I think my favorite HAS to be the adorable Reindeer Lollipop! Happy Holidays all you fabulous people! May Your Christmas be Cheerful ad Bright. Oh Thea, this is gorgeous! The design, the colors! I never think to use PicMonkey for designing but I'm going to start! Thanks so much for being one of the creatives in this group. We are so lucky to have such talented bloggers! Pinning! I love how you used the back of the sign! Such a great idea. 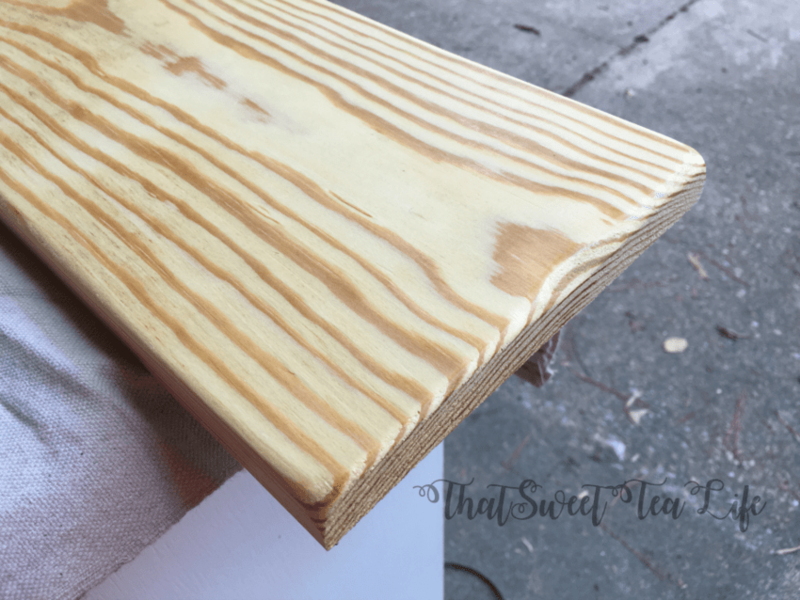 I also never thought to clean the wood with a vinegar water mixture. 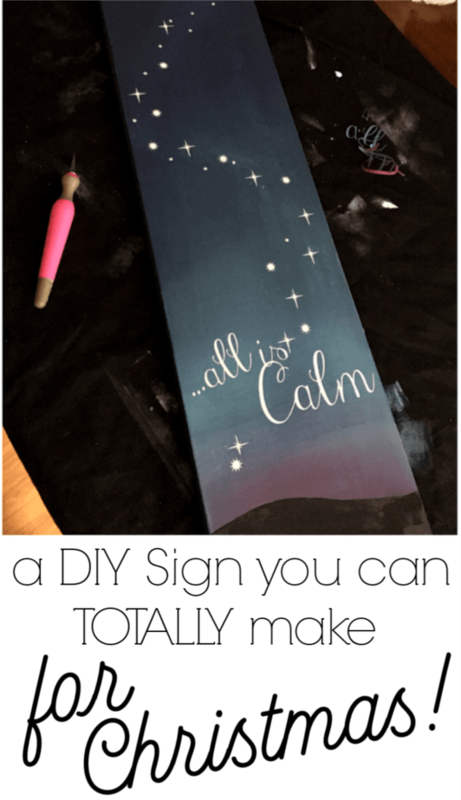 I make a lot of signs I will have to try this out. Thank you so much for joining in on our first month of the challenge. I hope you join us again for January. I don't see where you mention how long hte sign is? Hi! i didnt mention it as I never measured the length. I guess it really wasnt necessary for this project though I believe it was around 32"
Just luv these boards. I don’t have the equipment. Is it a printer you link to a normal PC/Laptop? Or is it a whole system you have to buy. Where would I buy the equipment. Also could you only use the vinyl once or can you remove and keep for use again. I’m from South Africa so it makes things a WHOLE lot more expensive when converting dollars/pounds to rands. Thanks for your great tutorials. So simple and easy to understand.